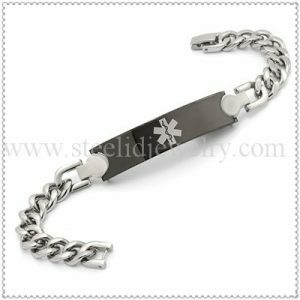 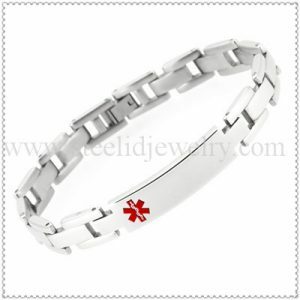 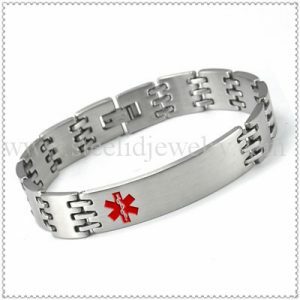 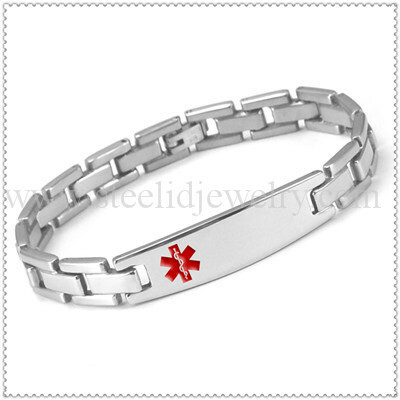 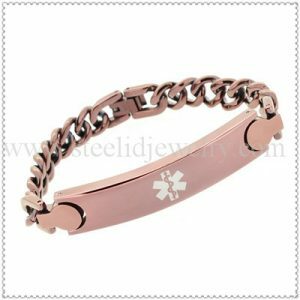 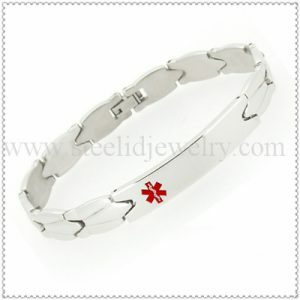 10mm width Stainless steel links with 42mm steel id plaques, 7.5″~8.5″ length, size can be customized. 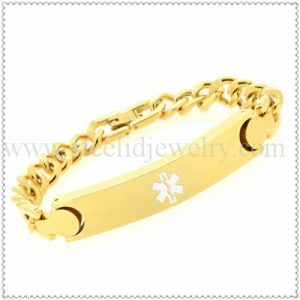 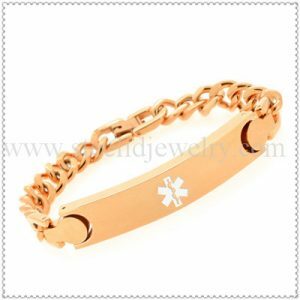 This links bracelets is very classical and simple. 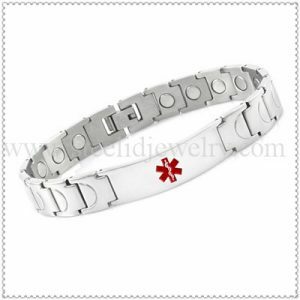 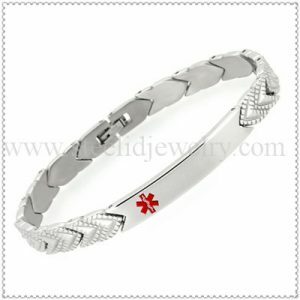 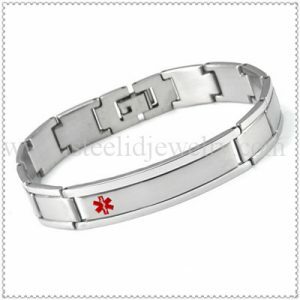 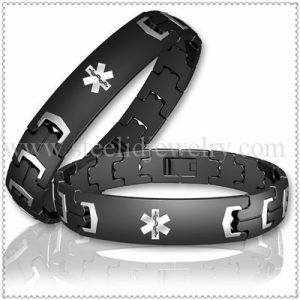 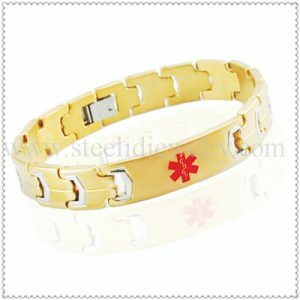 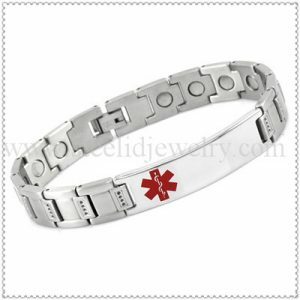 The curved ID tags front side can engrave the “Diabetes”, back side can laser the medical info.